A 480 ml pump spray bottle. 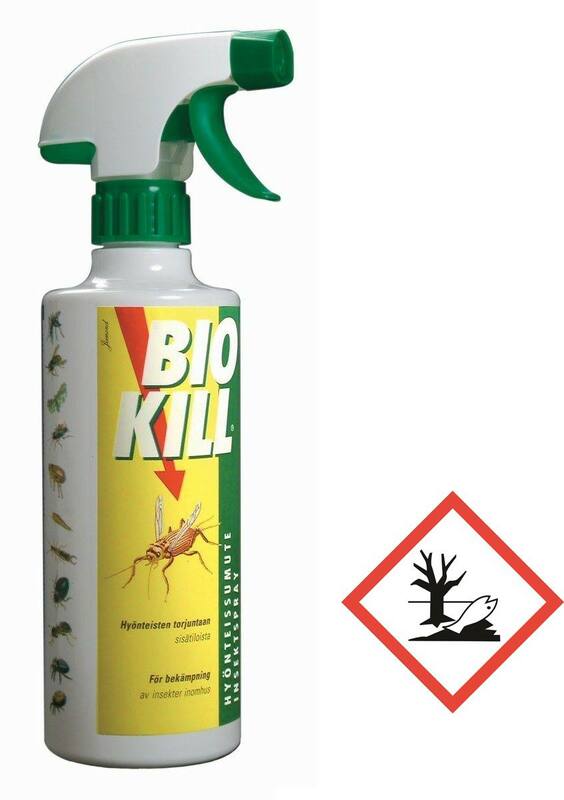 Ready to use spray bottle for fighting ants, beetles, moths, wasps, cockroaches, flies, mosquitoes, bedbugs etc. both in their final form and in their larva form. Water based, does not smell or stain. Shake well before use. Spray into corners, cracks, crevasses, chimneys and other hotspots of insect activity. The treatment can be renewed after 2 -4 weeks. Spray surfaces until moist but not wet. Extremely toxic to aquatic life, long term adverse effects. Contains permethrin. May cause an allergic reaction. 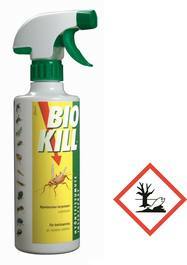 Always use biocide products in a safe manner. Always read product information and product guides before use. Store out of reach of children. Avoid getting the chemical directly on your skin. Avoid releasing the chemical in nature. Dispose of as hazardous waste. Dispose of the empty bottle as regular waste. Protection needed: When handling the chemical, always use chemical proof gloves (e.g. nitrile). Must not be sprayed onto food products, animal fodder or electric appliances. Aquariums must be covered before applying chemical in same space. The chemical does not effect Tribolium castaneum or Tribolium destructor. The chemical does not leave spots or smells on textile, wood or tapestry. Protect from frost. Highly compact automatic umbrella - folds down to 29 cm! A 50 pcs pack of fire starters. Spare hook for Ortlieb bags with the QuickLock 2 system. A compact power bank with 13 000 mAh capacity.